BlackBerry Key2: Privacy-Focused Smartphone Launched in India: Well, reports are coming that the iconic smartphone brand which was once the best and one of the biggest sellers in the Indian market is back again. Here, we are talking about the awesome Smartphone Blackberry which is again out in the market. Reports are coming that the BlackBerry back again in India, on Monday with the launch of the BlackBerry Key2. Yes! You are reading it right the mobile is launched in the Indian market and you all be able to buy it from the Amazon. Sources are saying that the BlackBerry KEY2 is priced at Rs 42,990 which is available via Amazon.in and the sale will begin from 31st July. The Smartphone comes with Reliance Jio ‘s cashback offer of Rs 4,450 and ICICI bank cash back offer of 5% along with additional launch benefits. Also, the sources are saying that it is manufacturing the BlackBerry KEY2 for Indian customers locally at its Noida facility. 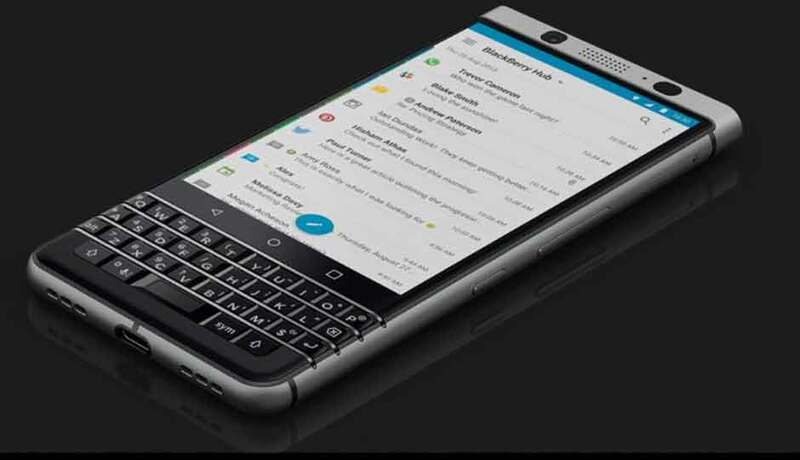 Also, some reports are coming that the new smartphone retains the key features that BlackBerry has been known for QWERTY keypad and security, lots of it. Also, you will get a 4.5-inch IPS display with 1620x1080pixel resolution. The phone runs on Android (v8.1 Oreo) with a slew of customizations to include BlackBerry’s security and productivity features. BlackBerry KEY2 also integrates Google Lens, an AI-driven platform that lets users look up information about an item by pointing the camera at it. Some reports are coming that this mobile comes up with the Corning Gorilla Glass protection along with a textured panel on the back. There’s an improvement to the physical QWERTY keyboard to make it faster for users to access their frequently visited applications. BlackBerry believes the security and privacy features are far more important and relevant now than in the past. Also, some reports are claiming that BlackBerry Key2 comes with a 4.5-inch IPS display having 1620x1080pixels resolution at an aspect ratio of 3:2. Also, the reports are coming that it will be powered by Qualcomm’s Snapdragon 660 octa-core processor coupled with 6GB RAM and 64GB built-in storage.